Yale’s Rafi Taherian has been named the 2016 winner of the Silver Plate for college and university foodservice, and Diane Imrie of the University of Vermont Medical Center has been chosen as the top operator in health care feeding. Honored as the year’s best operator in the Elementary & Secondary Schools segment was Jeff Denton of Ponca City Public Schools. The contractors chosen for the International Foodservice Manufacturers Assocation’s best-in-the-segment awards were Rick Abramson, EVP and COO of Delaware North Cos., and Mike Barclay, president of the regional operator Southern Foodservice Management. The Silver Plates are awarded to the top operators in nine segments of the foodservice business, across both the commercial and noncommercial channels. Those nine market-specific winners then become the finalists for an honor synonymous with operator of the year, the Gold Plate. 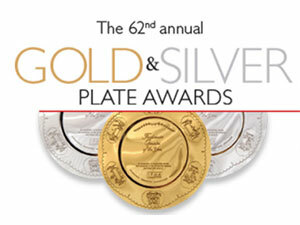 The Gold Plate winner will be announced at a gala event during the National Restaurant Association’s annual convention in May in Chicago. The Silver Plate honorees will be presented with their actual awards at that time. The Silver Plate and Gold Plate winners are chosen by a jury consisting of past winners, association executives and the editors of foodservice media, including FoodService Director. The winners in the commercial sector include Steve Carley, CEO, Red Robin, in the Chain Full Service/Multi-Concept category; Charlie Morrison, president and CEO, Wingstop, for Chain Limited Service; Wolfgang Lindlbauer, chief discipline leader of global concepts, Marriott International, for Hotels and Lodging; and Thom Sehnert, founder, owner and president, Annie Gunn’s and The Smokehouse Market, for Independent Restaurants/Multi-Concept.